When doctors discuss blood pressure, they?re referring to the force of blood pushing against the artery walls when the heart beats and relaxes. High blood pressure forces the heart to work harder to push blood through the arteries. Over time, the arteries can thicken, narrow, and become less flexible. Eventually they can narrow to the point where they clog up and lead to a heart attack or stroke. You may not notice this condition, because high blood pressure symptoms often don?t start until damage has already been done to the heart and blood vessels. 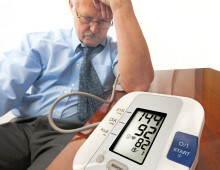 When high blood pressure symptoms do occur, they often reflect this damage. If the flow of blood to the heart is blocked, the heart muscle doesn?t get enough oxygen. Symptoms that can develop include chest pain or pressure, shortness of breath, and nausea. If blood flow to the brain is blocked, sections of brain tissue will die, producing symptoms like weakness or paralysis on one side of the body, trouble speaking, and vision disturbances. Vision changes are high blood pressure symptoms related to damage in the eyes. 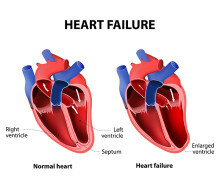 And if heart damage progresses to heart failure, in which the heart can?t pump enough blood out to meet the body?s needs, symptoms can include swelling in the ankles or legs, fatigue, and shortness of breath. Because these high blood pressure symptoms often appear so late, it?s important to see your doctor for blood pressure tests on a regular basis. Getting screened is especially important if you have high blood pressure risk factors such as obesity, a sedentary lifestyle, stress, or a family history of the condition. If you do have high blood pressure, you may be able to control it with good eating, physical activity, and stress management. When these measures aren?t enough, a number of medicines can also lower blood pressure. These include diuretics, beta-blockers, ACE inhibitors, and calcium channel blockers. Some people will need to take two or more of these medicines to bring down blood pressure. If garlic had been created in a test tube, it would most certainly be a very high-priced prescription drug! Why? Taking garlic has an abundance of health benefits! In fact, it has been used medicinally for at least 3,000 years. Intestinal parasites are a much greater threat to health than western medicine acknowledges. In fact, many doctors will miss the common signs and symptoms of parasites in humans, and thus, it is important to recognize these yourself and then to know what to do to eradicate them naturally.